Last night was a busy Wednesday for the running community in New Orleans. There were two big events in the city for local athletes. From downtown to City Park, if you wanted to get a group run in and have a fun party to go to after, there were options to choose from. First, the weekly Happy's Running Club had their Wednesday group run that starts at 6:15 p.m. on the corner of Poydras Street and Okeefe Avenue in the Central Business District. This week they hosted The Louisiana Marathon and Rock 'n' Roll New Orleans Marathon and Half as they celebrated "Halfway to Geaux" til their race dates. Also on-hand was Chief Running Officer of Runner's World Magazine, Bart Yasso (pictured in Red), who announced the 2015 Double Down award for both races. Bart was awesome at the event, talking to all of the participants and taking countless photos. He's a class-act, and a great ambassador for THE runner's magazine. 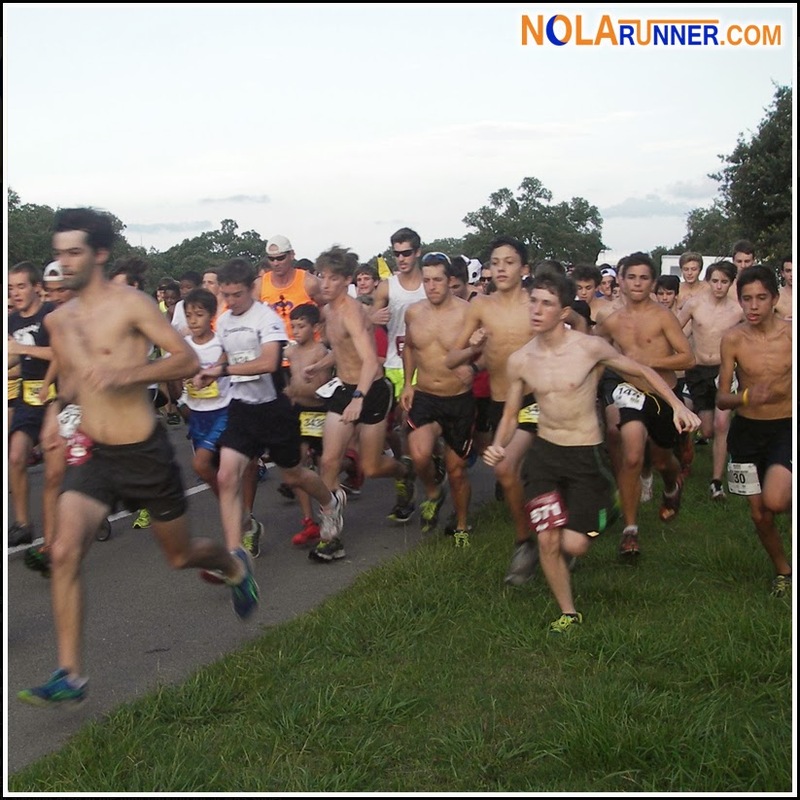 A gallery of photos from the Summer Series can be found below, and on the NOLArunner Facebook page HERE. See yourself or friends in the gallery? Be sure to tag them! 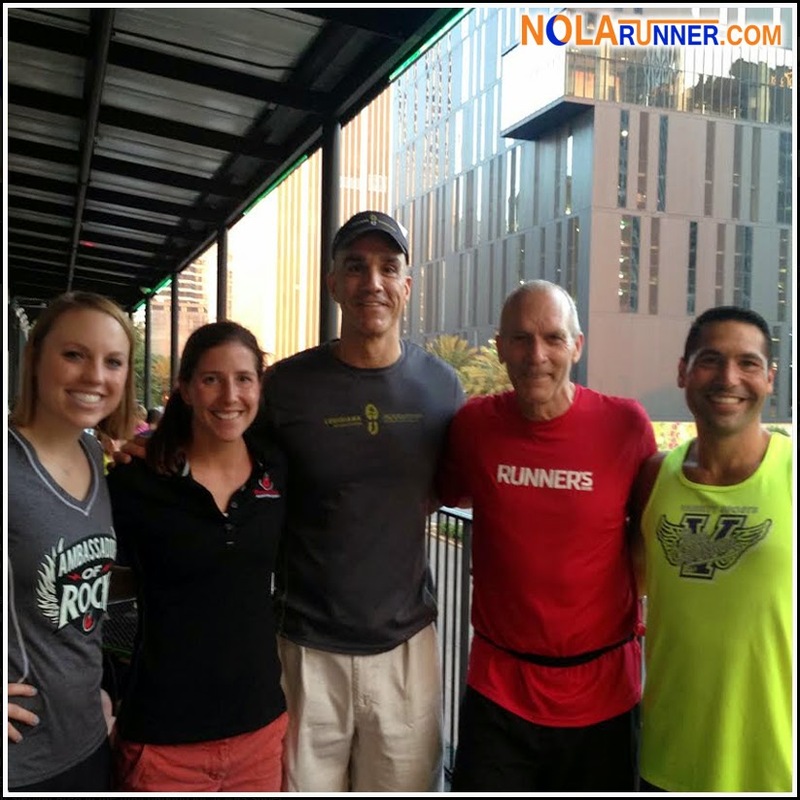 The New Orleans Track Club Summer Series will most certainly be back in 2015, and the Happy's Running Club continues every Wednesday evening in downtown New Orleans. Best of luck as you ramp up your training to double up and score that extra Double Down bling in January!